Cards and Spamalot? It's been an interesting month. They may seem easy once you know how, but many customers have seen the end result by me and others, but not the workings of the gag. Yes, each trick comes with instructions, but there is nothing worse than trying to wade through written instructions, is there? There is a way to force a card onto someone with no slight of hand whatsoever, and that is with the Svengali Deck which is a clever pack of cards, and one that is always carried around by many magicians. I've filmed an instruction of the setup of the cards to help. So when someone buys a pack then they get this short video. They really like it. 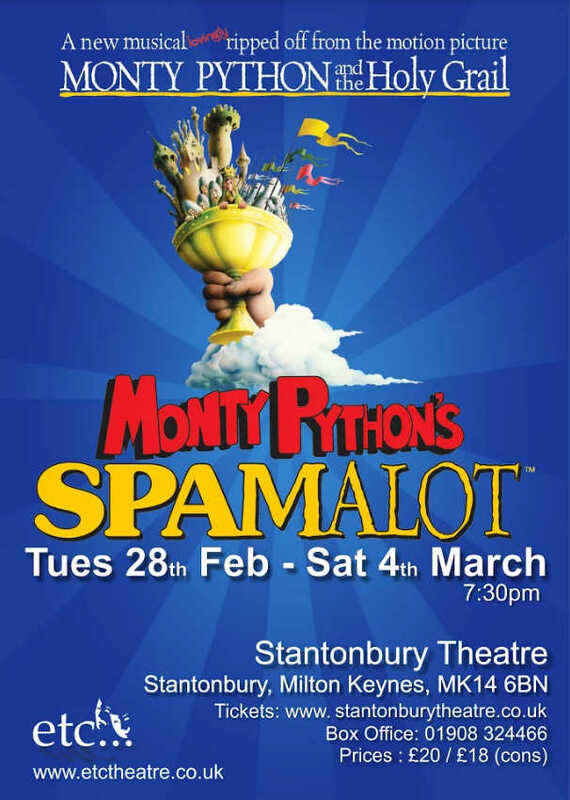 The other bit of magic I've been doing is helping to bring Spamalot to the stage at Stantonbury Theatre. It runs from the 28th Feb to the 4th March this year. This is a pretty large show, and it's a real collaboration between me as the director, the choreographer and the musical director, not forgetting the production team, the actors and the dance troupe. "The set is being built, the props and costumes are being brought in and we are getting there." Like all shows, we are rehearsing in a much smaller area than we will have on stage, which makes it slightly tricky as there are some very big numbers in it. I'm really enjoying seeing The Knights of the Round Table routine rehearsed at present, which includes tap dancing and all sorts of moves. I think I'm right in saying that none of our lead actors, many of whom are not used to dance routines, are bothering much with going to work out at the gym. I'm just about knackered at the end of rehearsals and I'm only watching them. I might put a video out next week showing you part of the rehearsals as we video dance routines for actors and dancers to relook at as there's an enormous amount for them to learn and it's kind of interesting. 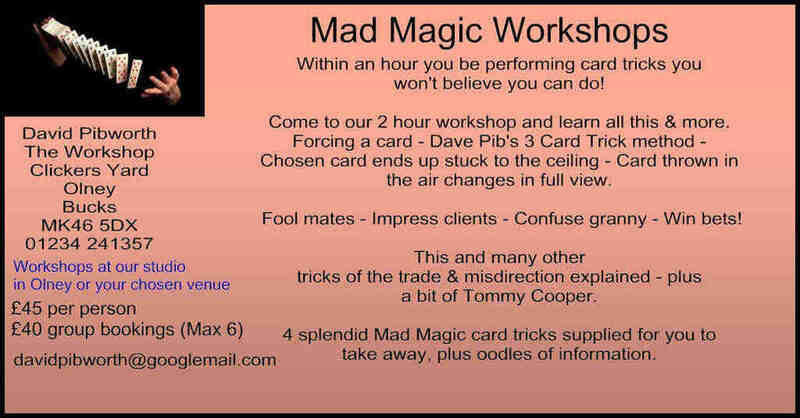 So whether you wish to do some card tricks, or come and see Spamalot at Stantonbury, let me help bring some magic into your lives. I think that's the worst line I've ever written, but hey ho, that's marketing for you.